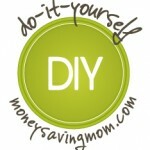 AngelaStrand.com shows you how to make homemade Raspberry Banana Frozen Yogurt Popsicles. MM MM! the picture is lovely. I just pulled out banana-mango-orange popsicles we made last night. I feel so much better giving the kids these kinds of treats. Even for breakfast! Those look yummy! And a good use for the boxed jello I keep buying as fillers at Walgreens. 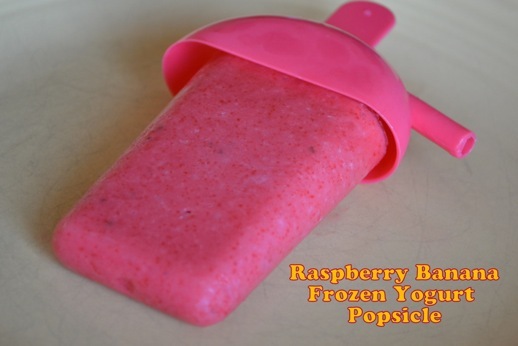 I would love to start making homemade fruit popsicles for my kids… anyone have suggestions for good quality popsicle molds? or will just any dollar-store type work fine? Where do you find the popsicle molds in the picture? Those look perfect for my 4yr old! I recently found some cute ones at Target in the Dollar Section. Really, I don’t think it matters too much where you buy them. One thing that always helps me is to run the popsicle mold (the plastic part) under warm water, until the popsicle comes out easily. These prevents the stick from just being pulled out. We have those exact ones (I believe they were on one of those hanging strips in a grocery store – an impulse buy in one of the aisles). They are VERY difficult to remove without the holder coming out. We have another set which is smaller that works much better. My daughter and I were just drooling over these. We ran into the kitchen, pulled out everything we needed and whipped up a quick batch. Now, they are chilling out in the freezer waiting for us to come home from VBS tomorrow night! Yum! Can’t wait!